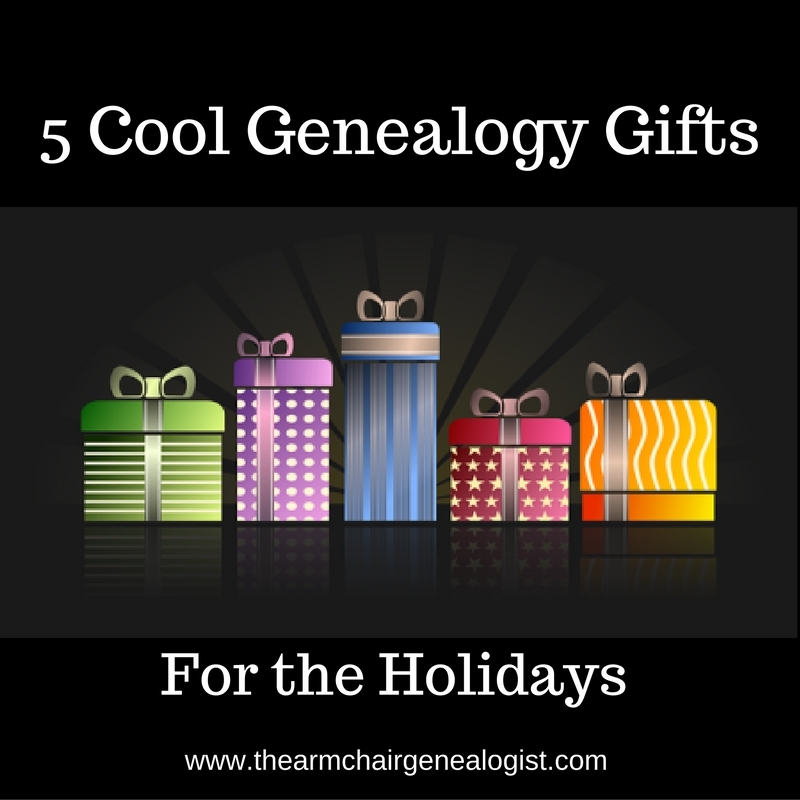 Struggling to find a Christmas gift for the genealogist who has everything? Here are some new and perhaps yet undiscovered gift ideas that might make you the favourite gift giver this holiday season. The gifts I've chosen this year, I'm very much familiar with, I use them. I think they all make great gift ideas for getting organised in 2017. Progress happens, and brick walls are busted through when we get organised. Here are five really cool tools to make your favourite genealogist the most organised genealogist this coming year. I discussed the Zcan+ Wireless Mouse Scanner a few months ago, here on TAG. I own one of these little treasures, and I can tell you it is my new favourite tech toy. A scanner that is also a mouse. Brilliant. I use it to scan pictures, documents, bills, notes. It is wonderfully portable for those trips to archives and for visiting relative’s homes. Check out more details here. To purchase click here, and when you buy the Zcan+ Wireless Mouse with the scanning pads, you'll get the pads, in the small and large size for free. Just add Armchair to your cart in the Coupon area, and your purchase will be discounted $19.99. Forever.com offers many services, two that I'm thrilled to be using is their white glove scanning service and cloud storage. First, you purchase the cloud storage. The cloud storage is your own space to keep your pictures safe. You can share this space with family to view pictures, or you can keep it private. Did I mention this is a one- time only cost? There is no renewal fee every year, only if you want to increase the size. Once you have your cloud storage in place, then you purchase a scanning box. They have 3 sizes to choose. They send you a box, you fill it with pictures, slides, VHS tapes, negatives and or film. They scan and upload to your cloud storage. They then send your items back in the same box. Refill the box and send it away again, repeat as many times as you like until your scanning is complete. Now, that I have someone scanning my photos I can get on with the business of making books. Love it. It’s simple to get started. Click here. When you join, it will ask for your ambassador, that’s me, click on the drop down box and find my name, Lynn Palermo. I’ll receive a small commission. I love calendars because I’m a visual person. Calendars are great visual tools for me for planning and setting my goals for the upcoming year. I keep digital calendars that syncs to my iPhone and laptop, I also have a large wall planner and yet I still love a day planner in a good old-fashioned book format. A few weeks ago thanks to Jen Baldwin, I learned about a daytimer and immediately fell in love with. The Volt Planner is a lovely day planner with lots of tools for brainstorming and planning your 2017 goals and projects. Genealogists can use it as a daily planner or for a particular project and make it their first step to getting organised in 2017. Evernote is a fantastic organisational product. It's not new but it still remains one of the best software around for organising your family history notes. Those notes that I scan with my Zcan+ I save in Evernote along with a variety of items, including family history, recipes, writing ideas etc. It's a great product for genealogists because it’s portable and very efficient. It is part of my everyday life, regardless of whether I am researching or writing. I highly recommend Evernote as part of any genealogist’s organisational system. Want to see some smiles on Christmas morning, consider gifting a complete Evernote package. · An Evernote Premium subscription. Sometimes genealogists can be procrastinators, particularly when it comes to turning their research into a family history book. So, here is a very good idea to help motivate. Our Creating a Legacy Family History Book Course at The Family History Writing Studio includes16 downloadable videos that walk you through building a book from idea to publishing using the MyCanvas software by Alexanders. If you want something to wrap to go under the tree, download the videos then save them to a DVD or USB stick. Then head over to MyCanvas.com and purchase a gift certificate. You can use the contact tab on their website to request one or by calling the help desk at 1-801-980-9809. Combined, there is nothing standing in their way from creating their own family history book. There you have it 5 really cool tools for the genealogist on your Christmas list.